The Podcast that takes a serious look at global warming, but doesn’t try to scare the snot out of you. 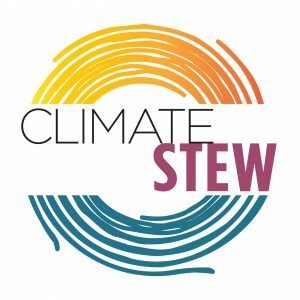 Welcome to the very first episode of Climate Stew Podcast. We are thrilled to present to you this piping hot, yummy melange of news, commentary, and yes, even comedy about our current climate crisis. 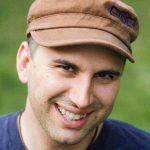 Click to listen on this site or Listen on iTunes or Stitcher Radio. See full transcript of segments below. Our climate news story this week is about Coffee. Yeah, coffee. Because of global warming many animal and plants species are finding their long time habitats threatened. Increased temperature, droughts, and floods are displacing and destroying species all over the world. Coffea arabica, the good robust coffee I drink every morning in the form of an espresso or latte is getting hammered by coffee leaf rust, a fungus that thrives in the warmer wetter weather that has become all too common in coffee growing countries. Healthy coffee plants require mountainous regions where a cool stable climate insures the best yields. With rising temperatures in Brazil, the biggest grower of coffee in the world, and the recent floods there, coffee prices are already rising dramatically. In Central America over 1.4 million people make a living from growing coffee. Repeated crop failures contribute to greater poverty among coffee farmers and their families leading them to uproot and migrate. Scientists expect that as the planet warms, pests that attack coffee will multiply and the delicate environments where coffee can be grown will shrink substantially. And while another type of coffee—coffea canephora is resistant to coffee leaf rust, its beans produce a bitter tasting cup of coffee that most people can’t stomach. Sure the coffee crisis is not the most important global warming story out there, but it is one that comes close to home for many of us. 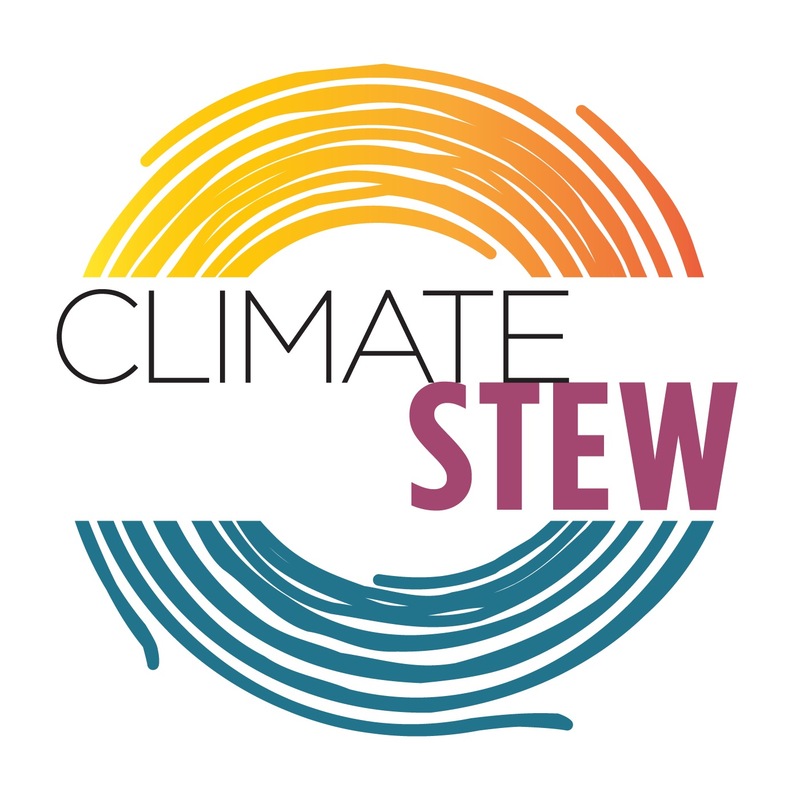 See our show notes at Climate Stew dot com to learn more about coffee and climate change. Why on earth am I marching for climate? After a ridiculously long stint trying to de-gay myself through gay conversion therapy, I finally came out. Then, happily settled with a hunky smart stud, I got smacked in the face with a hot, nasty blast of global warming. No, don’t blame “the gays.” It’s the immoral, flamboyant fossil fuel lifestyle that got us into this climate mess. Part of me wants to wash my hands of climate change and enjoy a little marriage equality while we all go to hell in a flaming hand basket. But something sassy stirs inside of me and our ancestors compel me to get off Facebook and do something. On September 21st, I’ll be at the historic Peoples Climate March in NYC. I hate crowds, even at Pride parades with pretty floats and glistening bodies. Marching with a bunch of environmentalists wearing socks and sandals is not my idea of a Sunday stroll in Manhattan. But it turns out loads of LGBTQ people like me have signed up. It may seem cruel or shallow, but I’m not terribly moved by the plight of a stranded polar bear on a distant ice flow; it’s the recent floods in Brazil threatening coffee production and the extreme rates of asthma in Harlem that alarm me. While I appreciate nature, I feel far more at home at the Metropolitan Museum of Art than frolicking in the Adirondacks. I also don’t have any offspring to worry about. I’m not a respectable environmentalist. Still I’ll march on September 21st, a speck of lavender in a sea of green. Faced with global warming, I find myself asking, “What Would Walt Whitman Do?” Old gay Walt Whitman faced the horrors of Civil War by volunteering as an army hospital nurse, reading to soldiers, bringing small gifts, writing letters for them, and holding them as they died in his arms. In the midst of his generation’s greatest crisis, Whitman, a groundbreaking poet, left the comfort of his study to become father, mother, and brother to our nation’s wounded young men. Whitman experienced an Apocalypse, the Greek word for the revelation that happens when a curtain is pulled back and one sees what’s been hidden. Two years ago, my husband, Glen Retief, and I had our own apocalypse about global warming. The reality of climate change shook us to the core, and we saw the threat to all we held dear—art, coffee, and the best parts of civilization. Suddenly Glen’s work as a writer and mine as a performance artist seemed irrelevant next to a challenge greater than world war or plague. We are developing a variety of responses to global warming including lobbying for a tax on greenhouse gases. We’ll also march, hand in sweaty hand, on September 21st. With projected threats to food security and water rights, and sea level rises that will displace multitudes, we’ve come to see global warming as a human rights issue, an environmental justice issue, and one that affects millions of LGBTQ people worldwide. Facebook activism and on-line petitions are not gonna cut it. That’s like redesigning the deck chairs on the Titanic. I need to show up. Our ancestors comfort me and challenge me to act: Sylvia Rivera at the Stonewall Riots, HIV/AIDS activist Peter Stanley of ACT UP, and Black gay pacifist Bayard Rustin demanding justice in racist and homophobic America. For years I was frightened of my own queer shadow, but I recognize I come from good stock: LGBTQ people who’ve passionately and doggedly made the world a better place. They’ve done their work. Now it is my turn. And that brings us to the end of our very first episode. Thank you for listing. You can see the complete show notes including music credits at ClimateStew.com. And in about a week we will have another episode for you. 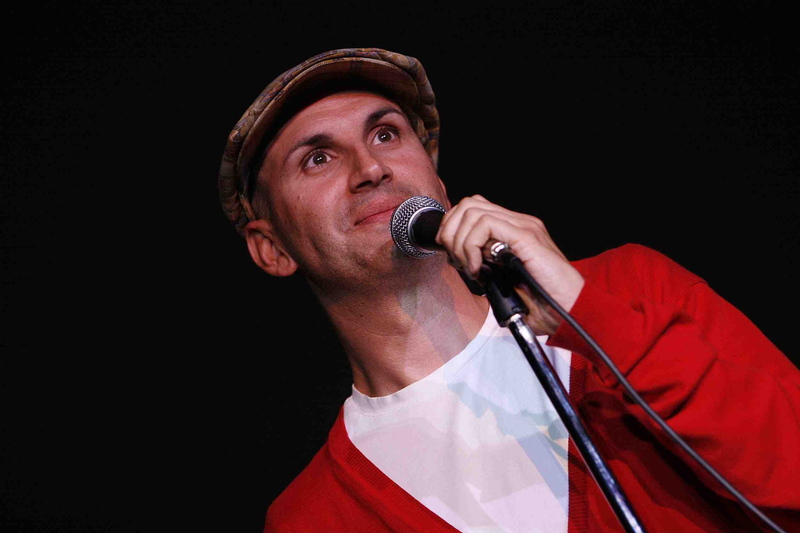 Special thanks to Jennifer O’Brien, Keisha McKenzie and Joe Gee, America’s snarkiest backslidden Quaker. Love the podcast, especially the news from the future including the sponsor! BTW – I write commentaries. My current one is about the CCL proposal to MIT’s CoLab Contest. It made the final cut – 6 finalists – and is now leading in the Citizen’s Choice catagory. Posting it below… you may use it if you like. Will be at the People’s Climate March … bringing my niece. But is it a TAX? What do these three well-known Republican economists have in common? 1. George Shultz, President Reagan’s Secretary of State and Secretary of the Treasury, who was an Economics Professor at MIT before Reagan tapped him for public service. 2. Greg Mankiw, Romney’s Economics Advisor, who is Chairman and Professor of Economics at Harvard University. 3. Art Laffer, a member of President Reagan’s Economic Policy Advisory Board for eight years with Economics degrees from Yale and Stanford. Answer: All three actively support the Carbon Fee and Dividend proposal by CCL, the Citizens Climate Lobby. Is this idea a tax? 1. Full dividend return: This feature will inject billions into the economy, protect family budgets, free households to make independent choices about their energy usage, spur innovation and build aggregate demand for low-carbon products at the consumer level. 2. Transparency: CFD is elegant in its simplicity, accessible to public scrutiny and clear in its signals and benefits. 3. Bipartisan appeal: CFD does not increase the size of government, require new bureaucracies or directly increase government revenues. The dividend increases real disposable income, protects personal spending decisions and will recruit widespread, sustained engagement. 4. Border tax adjustments: Import fees on products imported from countries without a carbon fee, along with rebates to US industries exporting to those countries, will create a fair competitive environment for exporters and motivate other countries to adopt similar carbon pricing policies. Existing tax and trade systems avoid complex new institutional arrangements. 5. Predictability: A structured rising price on GHG emissions will focus business planning on optimizing investment priorities to thrive in a carbon-constrained world. Recent economic modeling by REMI, a well-respected non-partisan economic consulting firm, shows that the CCL proposal, Carbon Fee and Dividend, with 100% revenue return creates more than 2 million jobs over baseline within 9 years and increases employment in labor-intensive industries. The U.S. can lead with a definitive measure that increases its GDP and real disposable income while significantly reducing emissions. Foreign emitters will not be affected directly by this fee, but their products will be impacted by the U.S. border fee. Those nations will come under pressure to reduce their carbon intensity or risk market share in the world’s largest economy. A unique feature of this policy is that the international U.N. process will not determine what the U.S. does. We simply take action on our own. Foreign nations can choose to follow or pay the U.S. a border adjustment. If you were China, would you rather pay Americans the fee – or enact an equivalent fee and collect it yourself? A global problem requires a global response. This feature forces a global response. Ordinary citizens can help by sending this proposal to Senators Coburn and Inhofe, as well as Representatives Cole, Lucas, Bridenstine, Mullin and Langford. A graph showing the growth of each family’s monthly dividend is below. Graph from Regional Economic Modeling, Inc.’s June 2014 study (p. 21). Mary Francis! Thanks for the comment. I am a fellow Citizen Climate Lobby member and co-lead the Sunbury, PA chapter with my husband Glen. Wow coming all the way from Alaska for the Peoples Climate March. Well done. I think it is going to be huge. I’m not a big fan of crowds (unless they are seated politely in the audience in front of me) but I will push through my discomfort for the cause. Thanks for listening. The podcast is now available on iTunes. Feel free to share it with others. Another one will come out next Monday.